Cafe management software - profit report. 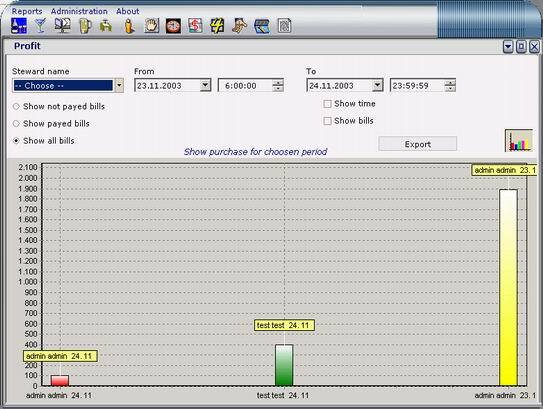 On this screen you can view profit for selected time period. � You can see this data as graph to. 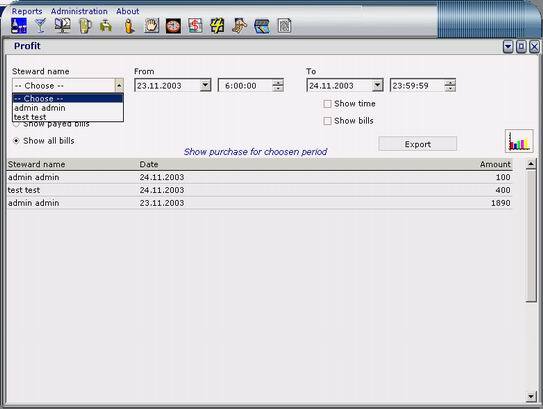 On this screen you can view sold menu items number for selected time period.